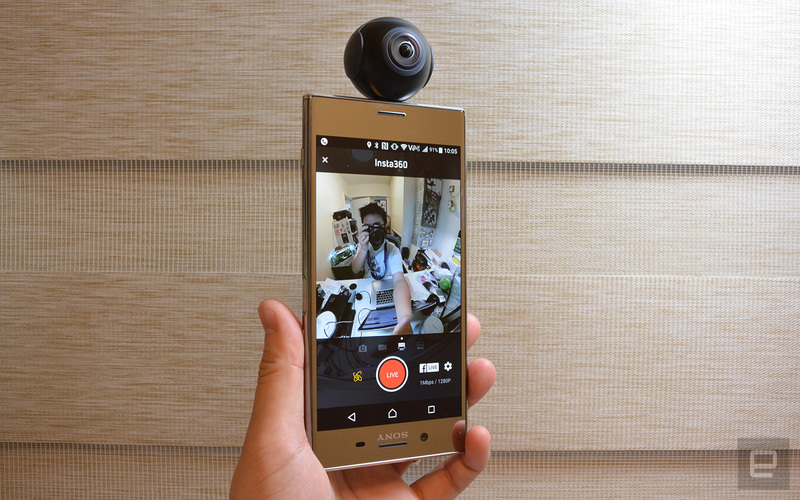 Its 'Live 360 Ready' certification will also help you pick the right 360 camera. Following YouTube's support for 4K live 360 video late last year, it was only a matter of time before Facebook caught up. After all, Zuckerberg's betting big on VR. Today, the social media giant announced the launch of 4K resolution for live 360 streams, meaning we can soon enjoy more immersive VR live streams via the Facebook 360 app for Gear VR. This also preps the platform well for when 4K VR headsets finally go mainstream. As part of this update, Facebook is also bringing its Donate Button and Scheduled Live features over to its live 360 video service, in the hopes of driving 360 video viewership while helping out non-profits. Also announced today is the expansion of Facebook's "Live 360 Ready" program, which now covers both devices and software suites from third parties. In addition to the Insta360 Air, Insta360 Nano and Insta360 Pro that were already certified earlier this year, the "Live 360 Ready" list now also includes Giroptic IO, Nokia Ozo, ION360U, ORAH 4I, Z Cam S1, 360fly 4K Pro and Garmin VIRB 360. You'll be able to spot these in the shops thanks to the Facebook Live logo on their new packaging. Oddly enough, the better known brands like Samsung and Ricoh are missing here. As for software, Facebook has certified the following for 360 video publishing: Assimilate SCRATCH VR, Groovy Gecko, LiveScale, Teradek, Voysys, Wowza and Z CAM WonderLive. By finally bumping the quality of its live 360 videos and also helping creators pick the right tools, Facebook is now headed in the right direction. That said, we're still waiting for the next wave of VR headsets packing 4K display resolution, so that we can go deeper into the immersive content. Hopefully this is something that Facebook and others are already working hard on.